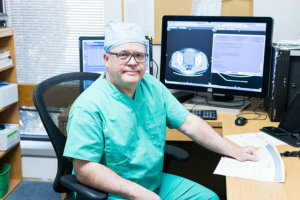 CT scanning—sometimes called CAT scanning—combines special x-ray equipment with sophisticated computers to produce multiple images of the inside of the body. Using specialized equipment and expertise to create and interpret CT scans of the body, radiologists can more easily diagnose problems such as strokes, bleeds, cancers, cardiovascular disease, infectious disease, appendicitis, trauma and musculoskeletal disorders. The Radiologists of Nash X-Ray Associates work with the dedicated and experienced technologists and modern multi-slice CT scanners at Nash Hospitals to maximize image quality and minimize radiation exposure. Please contact Hardee’s Heart Center at 252.962.8206 for more information. Magnetic resonance imaging (MRI) is a noninvasive medical test that helps physicians diagnose and treat medical conditions. MR imaging uses a powerful magnetic field, radio frequency pulses and a computer to produce detailed pictures of organs, soft tissues, bone and virtually all other internal body structures. MRI does not use ionizing radiation (x-rays). Nuclear Medicine involves use of small amounts of radioactive material to diagnose or treat a variety of diseases, including many types of cancers, heart disease. 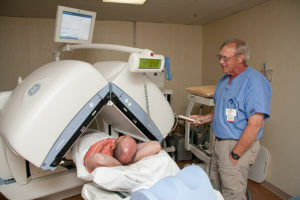 Nash Hospitals proudly offers on-site PET-CT imaging to the Rocky Mount community and surrounding areas. 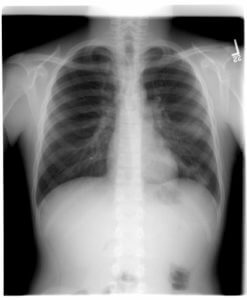 The Radiologists of Nash X-Ray Associates are skilled in the interpretation of these studies. PET-CT involves Nuclear Medicine (PET scan) to evaluate the “energy” usage of areas within the body along with CT to provide a picture of the area of this activity within the body. Cancer cells often have high “metabolic activity” or “energy” usage, which allows their detection. 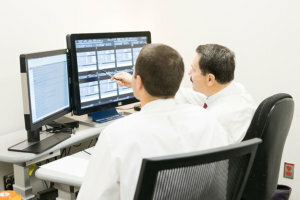 PET-CT is often used in the initial assessment (staging) of cancer and to evaluate the effectiveness of cancer treatments. Ultrasound involves using high-frequency sound waves to produce pictures of the inside of the body. 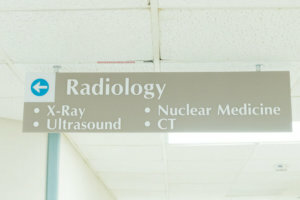 Ultrasound exams do not use radiation (as used in x-rays). Because ultrasound images are captured in real-time, they can show the structure and movement of the body’s internal organs, as well as blood flowing through blood vessels. 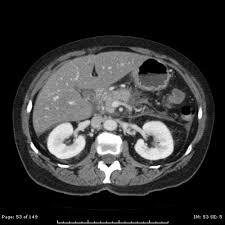 Abdomen, including gallbladder, bile ducts, kidneys, liver. Two fellowship trained breast imagers are among the Nash X-Ray Associates Radiologists providing service to Nash Hospital’s flagship Breast Care Center. 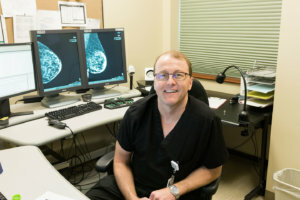 The Radiologists work along with a team of caring and experienced technologists and Nurse Navigator to provide the highest level of breast care services found in the area. 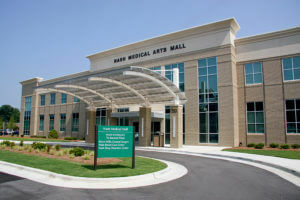 Nash Breast Care Center is the Rocky Mount area’s only facility with the American College of Radiology’s Breast Center of Excellence designation. Screening and Diagnostic evaluations, with the only on-site interpretation offered in Rocky Mount. For all Diagnostic Mammograms, the Radiologist discusses the results with the patient at the time of the exam. 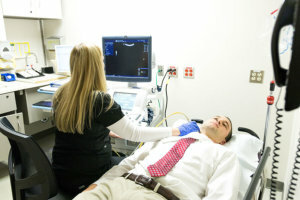 Ultrasound-guided and Stereotactic Biopsies are performed on-site with results typically available the next business day. Each mammography patient also completes a short Family History form. The Radiologists evaluate these for possible factors that would place the patient at High Risk for Breast Cancer, for which additional testing or shorter-interval breast evaluation might be warranted. Please contact the Nash Breast Care Center at 252.962.6100 for more information. An x-ray (radiograph) is a noninvasive medical test that helps physicians diagnose and treat medical conditions. Imaging with x-rays involves exposing a part of the body to a small dose of radiation to produce pictures of the inside of the body. X-rays are the oldest and most frequently used form of medical imaging. 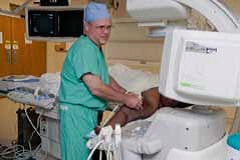 Fluoroscopy is an enhanced x-ray that produces a real-time image on a monitor. It is especially useful in diagnosing problems of the digestive tract. 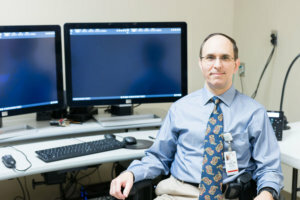 The images are obtained by the dedicated technologists of Nash Hospitals. Radiologists at Nash X-Ray Associates view and interpret your images on a state-of-the-art digital PACS system to provide accurate diagnoses. Nash X-Ray Associates, PA has provided high-quality Radiology interpretation services to Nash Hospitals, Incorporated for over 35 years. Nash X-Ray Associates, PA is a private radiology practice that began with two radiologists and four staff and has grown to eight full-time board-certified radiologists and full-service billing office staff. The billing office is located at 117 Roundabout Court, in Sunset Tower office complex. Our mission has not changed over the years. We remain committed to providing state-of-the-art imaging to our patients in our friendly atmosphere and accessible office. Copyright © 2019 Website Design by CR Media Solutions . All rights reserved.